Please check our Facebook page for meetings. Non-members as well as members are welcome to our meetings. 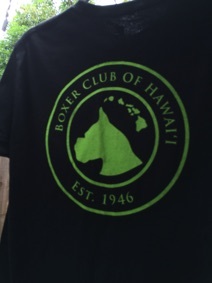 It is always a pleasure to network with Boxer owners, or those interested in Boxers. 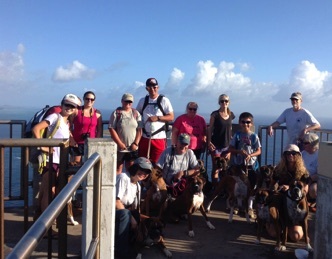 We also have unofficial hikes (pic at right). Susan Trent needs help organizing the hikes, so feel free to volunteer. T-shirts are blue or black. Cost is $15. 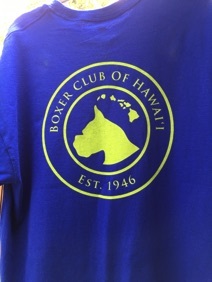 Support the club with these good quality T-shirts. 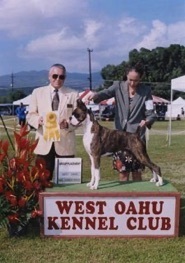 A comprehensive list of upcoming confirmation, obedience, agility and other shows in Hawaii can be found here.